"Peace. It does not mean to be in a place where there is no noise, trouble or hard work. It means to be in the midst of these things and still be calm in your heart." Everyone welcome; whether you are an experienced practitioner or new to yoga. Yin Yoga is emerging as a popular and necessary style of Yoga in our 'Yang heavy' yoga culture. Yin is a softer, slower, more receptive practice which targets deep opening in our joints, ligaments and fascia. Postures are held for around 1-5 minutes and there is a resolute focus on connecting to breath; leading us inward toward a more focused and meditative state. Come along and experience the deeply restful practice that is Restorative Yoga. The most gentle, nourishing and profoundly healing of the Yoga styles; Restorative yoga helps us de-stress, relax, let go and begin to unwind deeply held tensions in the body and mind. We open ourselves up to re-balancing and finding healthier and more sustainable ways to be in ourselves and the world. If you haven't experienced this style of yoga yet you are definitely in for a treat! ​ Click the button below to pay a visit to the Yoga Sanctuary's website, there's so much great stuff happening at this studio if you haven't visited before. Contact Jessica for private one-on-one, or small group yoga therapy and exercise sessions tailored to your individual needs and situation.
" After 20 years of working out with a p.t. at an Auckland gym I moved to Coromandel with a fair amount of trepidation wondering how on earth I’d maintain my need to keep my body healthy and fit with my ongoing lower back issues. I was also seeking a mind/body pursuit. I heard about Jess both through an Osteo practitioner and a bodywork therapist, and then her name popped up again, and again. I haven’t looked back really. We have now worked 1 on 1 for 6 months. 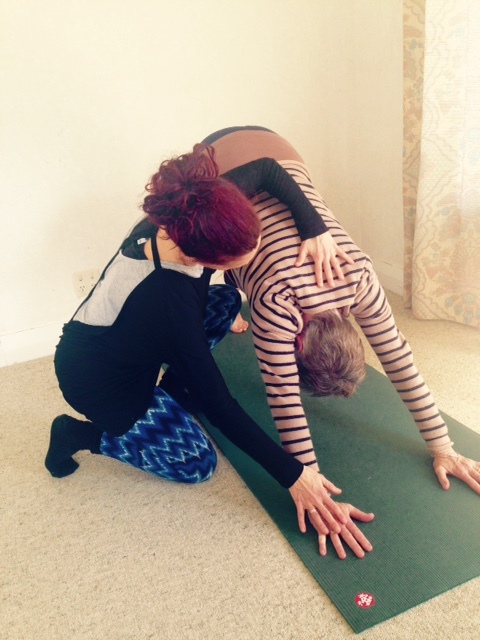 Jess is articulate and warm and approaches her Yoga practice with a passion. She has a comprehensive understanding of the complexities of the human body and what she doesn’t know she will seek out and research, applying her learning to (my) needs and practice. I remain impressed by her intellect, her incredible ability to articulate the sequencing of movements,her professionalism and her body of knowledge about Yoga and meditation. At the end of each session we always finish with a gentle nurturing emptying of the mindspace. I always leave my sessions feeling invigorated and relaxed." Last years' winter retreat - August 11th-13th 2016 - was a great success! The retreat sold out, once again, and we had a wonderful group of beautiful souls join us for 2 1/2 days of nourishing yoga, mindful movement, delicious vegetarian meals and the magical surrounds of Mana Retreat Centre.. This years' dates are booked in and spaces are filling up already. 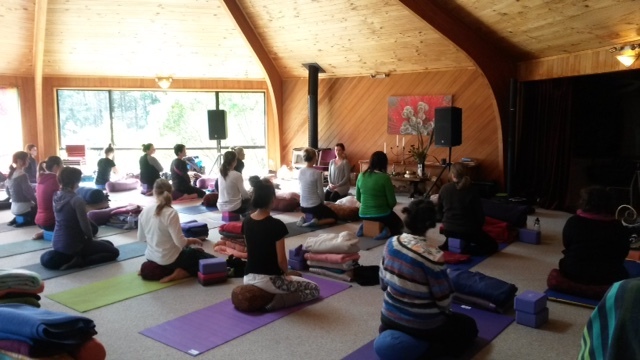 Join Jessica and Clare (from PranaYoga Waitoki) at the world class Mana Retreat Centre in beautiful Coromandel for 2 1/2 days of restful, nourishing yoga, breath supported Asana, gentle movement, Somatic movement practices, restorative yoga, meditation and breathing practices.